The sentence “This year I will quit smoking” is probably on the lips (or minds) of every smoker on the night between years. Sadly, most of the people that mutter them expect some sort of miracle to happen so that they never feel the need to smoke, ever. This will not happen. It is hard to quit smoking, we know, and you are probably sick of hearing that it can cause cancer and other problems. To be frank, there are probably as many methods for smoking as there are ex-smokers, so it can be quite difficult to choose the perfect one. People have tried everything from cold turkey to hypnosis and other bizarre methods, but they haven’t managed yet. An interesting thing happened the other day. I was browsing on Reddit and accidentally ran into the r/StopSmoking section of Reddit. 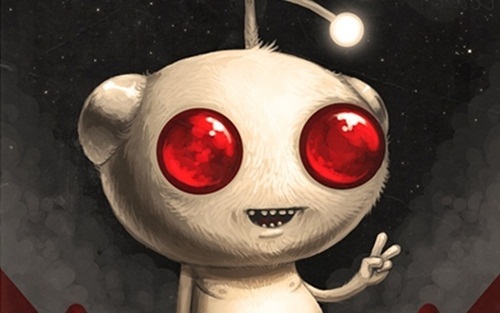 This is a magical place where redditers help other redditers not smoke. The community is incredibly active and it can really help you if you are struggling with nicotine addiction. Here you can also monitor the number of days since you have quit and because you are receiving support from others, you are more likely to stick to your resolution. Support is better than any alternative to cigarettes. 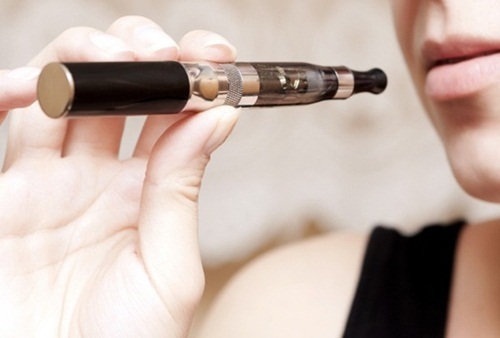 Electronic cigarettes are small devices which transform water with e-liquids into vapors that are inhaled in the lungs. The great thing about them is the fact that they take care of the withdrawal symptoms. What many people do not know is the fact that the act of smoking is stronger than the need for smoking. 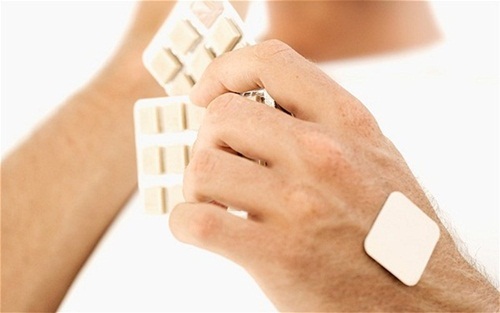 In other words, having the stick between your fingers when you are going out or drinking your morning coffee has become a habit, and it is difficult to give it up. Electronic cigarettes will enable you to preserve your habits, without administering the thousands of toxic substances to the lungs. The only thing that you will be inhaling (if you wish to) is nicotine. There are many nicotine replacement therapies that you can choose from like nicotine patches, gums, inhalers, lozenges and nasal sprays. Their main goal is to satiate the need for nicotine without having to inhale harmful substances. Remember that not cheating on the first day of nicotine replacement will increase the chances of quitting forever tenfold. 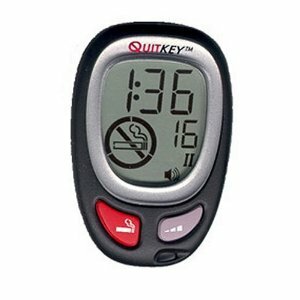 You probably do not have enough will-power to quit on your own, so the QuitKey computer will help you control urges, and habits. What it basically does is alter your smoking pattern, by gradually stepping down the rate at which you light up. Based on your personal habits, it will lengthen the time between sanctioned smokes. If you are really willing to quit, and take commands from a machine that doesn’t care about your feelings, Quit Key might help you. The best part about quitting is bragging to your friends about it. This helps you lift your spirits and become more motivated. 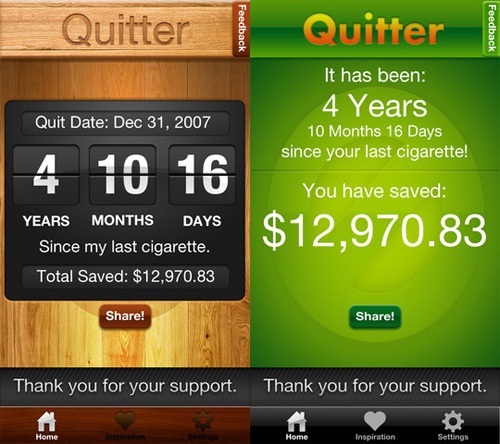 The Quitter App will show you how much money you’ve saved since you stopped smoking. The Quitter app for iOS needs your average number of packs/day and price/pack to tell you how much money you have saved.